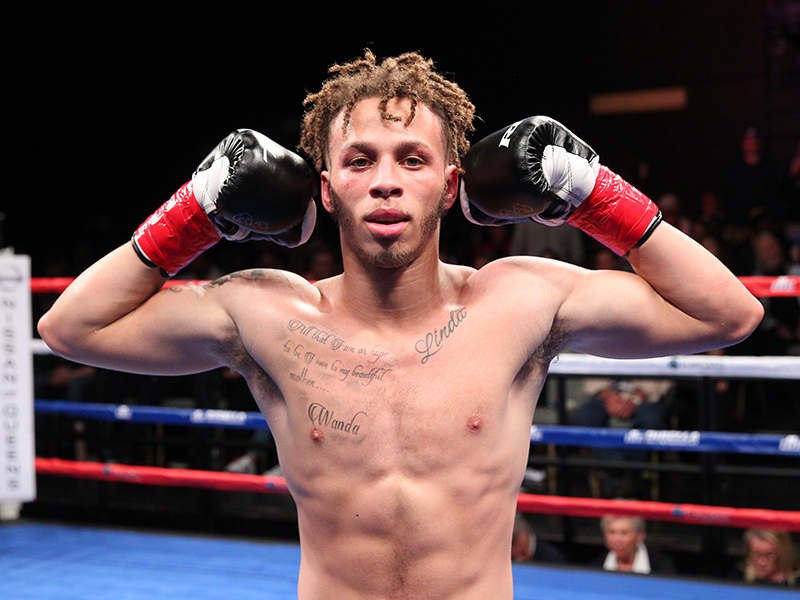 “Marvelous” Mykquan Williams is one of the hottest welterweight prospects in the United State. He has already overcome more challenging obstacles in his young life then he’ll ever face in the ring. His father was murdered when Myke was only one year old and 10 years later, the house he lived in burned to the ground. As a prime suspect to get in trouble on the streets, Williams was brought to ROCS gym in Manchester, CT, when he was eight by his aunt, now retired boxer Addy Irizarry. Three years later, he was carrying now-ROCS & DiBella Entertainment stablemate Matt Remillard’s title belts into the ring. With incredibly quick hands and poised beyond his years, the Jackie Kallen-managed, Paul Cichon-trained Williams won five national amateur champions. The personable youngster made his pro debut April 16, 2016 at nearby Foxwoods Resort Casino, only 10 days after his 18th birthday. He graduated from high school, Prince Tech, two weeks after his seventh pro win without a loss, June 3, 2017, again at Foxwoods.